In this Visual Studio 2015 RC have major changes ever, an integrated suite of developer productivity tools, cloud services, and extensions that enable you and your team to create great apps and games for the web, for Windows Store, for the desktop, for Android, and for iOS. 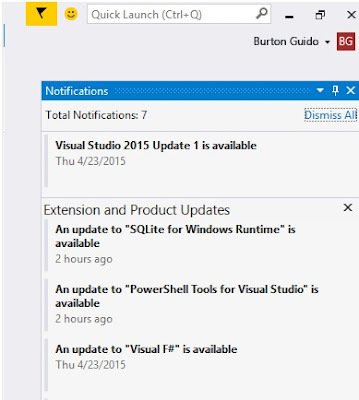 This article highlights some of the most important features in visual studio IDE. 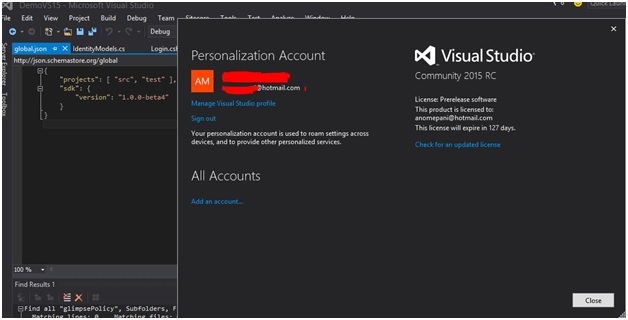 You can work with multiple user accounts in Visual Studio by adding them as you go or through the new Account Manager. Then, you can switch between those accounts on the fly when connecting to services or accessing online resources. 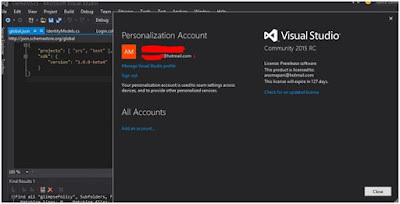 Visual Studio remembers the accounts you add so you can use them from any instance of Visual Studio or Blend. 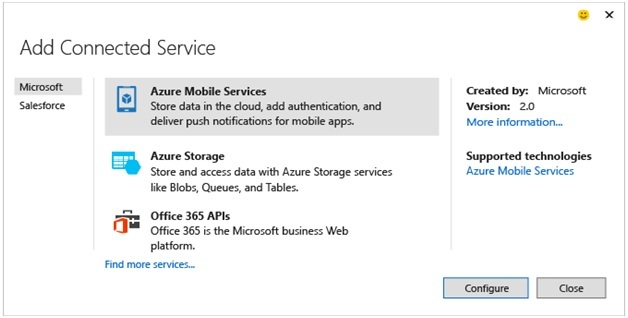 Visual Studio 2015 supports cross-platform mobile device development. You can write apps and games that target iOS, Android, and Windows and share a common code base, all from within the Visual Studio IDE. You’ll see all these new project types in the File, New Project dialog. And also support for classic desktop applications is better than ever, with lots of improvements to languages, libraries, and tools. Below are different platform. The Blend experience for designing XAML user interfaces has been significantly enhanced. Blend has been completely redesigned to provide a more intuitive UI, more powerful XAML editing capabilities, and better integration with Visual Studio. The error List now supports filtering on any column. It is also scalable enough to show a live view of errors, warnings, and code analysis across your entire C# or Visual Basic solution as you type, even when a code change produces thousands of warnings. The new Error List is back-compatible with existing usage. The GPU Usage Tool helps you collect and analyze GPU usage data in DirectX apps and games and troubleshoot whether performance bottlenecks are originating in the CPU or GPU. The Visual Studio IDE now has true high resolution images on denser displays (in areas like menus, context menus, tool window command bars, and in some projects in Solution Explorer). And on a touch-screen in the Visual Studio code editor window, you can now use gestures such as touch and hold, pinch, tap and so on to zoom, scroll, select text, and invoke context menus. You can create store and roam custom window layouts. For example, you can define one preferred layout for use on your desktop machine, and different layout for use on a laptop or small screen device. Or you may prefer one layout for a UI project and another for a database project. Key bindings enable you to rapidly switch between layouts. These layouts are available on any instance of Visual Studio when you are signed in. The UI for the notification hub has been streamlined to make it easier to scan quickly. Additional kinds of notifications have been added including performance issues, rendering issues, and crashes, and you can now tell Visual Studio to stop showing a notification. 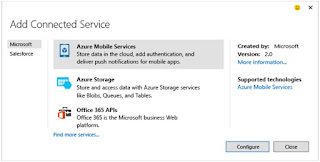 You can review changes and other history for work items, bugs, code reviews, and so on for code that’s stored in Visual Studio Online (VSO) or in Team Foundation Server (TFS). 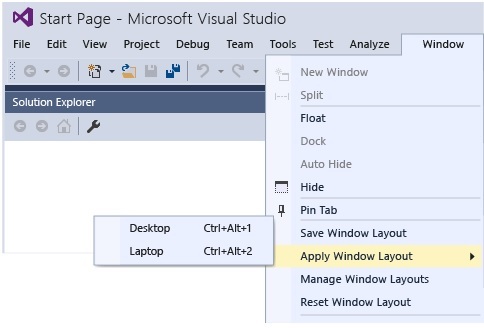 • Get history for an entire code file in the Visual Studio editor. • See a graph that shows the people who changed your code. This can help you find patterns in your team's changes and assess their impact. • Easily see when your code was last changed. • Find changes in other branches that affect your code.